Do you know that according to Australian Institute of Health and Welfare (AIHW) 3.9 % (Men) to 4.9 % (Women) of adults on an average miss some of their teeth irrespective of their age due to tooth decay? Most of them are not able to lead the quality of life with a hearty smile on their faces. Dental implants in Sydney are an excellent solution to bring back the smile on your face. Since the discovery of carved stone dated some 2000 years ago, dental implants were witnessed in human history to fill the missing teeth. Shell, bones, and gold were used in ancient times. However, with the discovery of new modern equipment in dentistry, dental implants procedure is now easier and leads to more success rate. Our dental implant in Sydney can provide you natural-looking teeth without much hassle. We implant an artificial tooth in place of the missing teeth. You might have lost your teeth due to tooth decay or injury. Whatever may be the cause; our dentists will put an anchor in your jaw using titanium or similar metal. The new tooth will be extended from the post out of the anchor, and the jawbone will grow around the anchor. Once the anchor is set, our highly experienced dentists will implant the artificial tooth with the cement. Our teeth implants in Sydney are a regular process performed by our dentists. We are experts in implanting teeth without much pain. The use of advanced technology makes it less painful to you. You may have slight swelling for some time after surgery; however, our doctors will give you pain medication so that you will not feel any discomfort. You may have to consume only soft foods for some time. The advantage of dental implants is that you do not have to remove these implants for cleaning. These implants are preferred over dentures which are mainly for cosmetic purposes. It helps you maintain dental hygiene as no food will get stuck in your teeth. 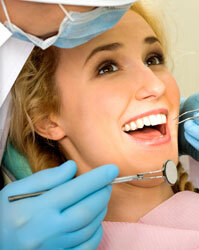 Our doctors make sure that there are no complications like a root canal and tooth decay. The major advantage of our tooth implant in Sydney is the professionalism our doctors exhibit at Tooth Implants Sydney. All our doctors are highly qualified and experienced with international exposure. They will guide you patiently and help you maintain your dental health. We use modern technologies and equipment so that you do not develop any infection. Our dentists do the procedure so perfectly that you can just floss and brush the implants just like natural teeth. 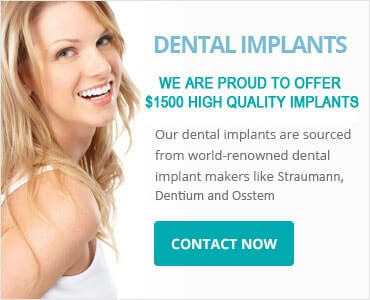 Our dental implants cost in Sydney is indeed low when compared to others in the field. You need to know whether you want single or multiple implants. Costs vary according to the material and the choice of single or multiple implants; however, you can be rest assured that our implants are long-lasting and do not require frequent visits to your doctor once the implant is completed. We use the best materials that look and feel natural, making this procedure worth every penny you spend. Our dental implants have a high-success rate depending upon the health of the person. Good oral hygiene helps in avoiding gum diseases, and due to the high quality of the implants we use, it does not form cavities. It is best to avoid smoking to maintain dental health and further extend the life of the implants. All our dental experts are members of the Australian Dental Association. Hence, we guarantee. Dental implants are long lasting solutions than dentures. It is not only more natural in appearance but also more comfortable. Above all, implant dentures won’t fall off like a normal denture. 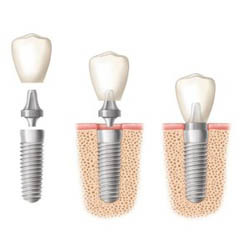 Why choose Dental Implants Sydney? Best choices – We offer one of the best quality implants in the town. Our dental implants are sourced from world-renowned dental implant makers like MIS, Straumann, and Ankilos, among others.